Waterfall Info: This is the second waterfall on Blood Mountain Creek from the bottom. It's located right at the top of the first waterfall. You may see references that this waterfall is actually the 3rd falls on the creek, but that is incorrect. 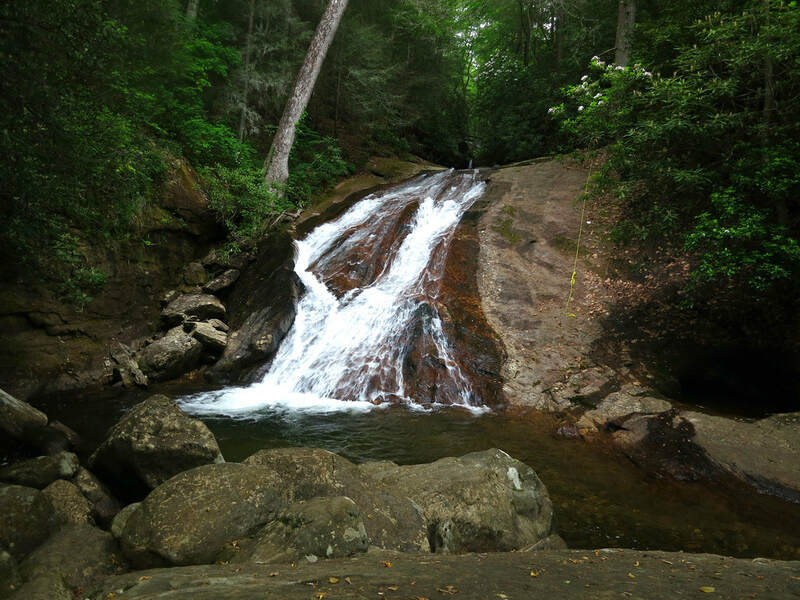 Access Info: A short path from Dicks Creek Road (FS 34) leads to Second Falls on Blood Mountain Creek. There's a tricky boulder scramble at the end.